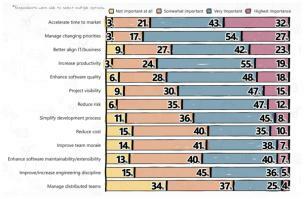 Will project managers survive the agile trend? Charlie finds this a little peculiar; this is not how he was used to work in past projects. Most of the time it was done the other way round And how on earth can these 4 values and 12 principals be used in projects?(http://agilemanifesto.org/principles.html). There must be some methods or frameworks out there to put this mind-set in to work? So he read the research of the state of agile a bit more. And he stumbled upon some statistics. Charlie told his company that if they wanted to work Agile, then scrum or a hybrid version of scrum would probably be a good way to start. 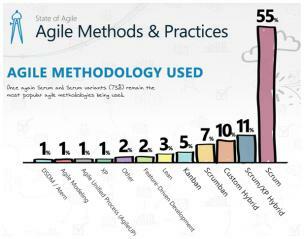 The research showed that a lot of of companies (73%) working in an Agile way use Scrum or a similar method. Charlie again searched the internet for Scrum and found a lot of information. Yet he was surprised, where did his project manager role go? Clearly this must be a mistake; a project can’t run well or succeed the project manager can’t perform his duty or tasks.Who else will be in charge and who will control the what, the how and the when? The scrum master – He doesn’t take control but he rather coaches and facilitates the team so the team can focus on getting things done. The developer(s) – Decide the how, heck they are the ones who have to build it and they know how to build it. So why not let them be in charge of how to build it. Charlie nodded -Ok- and said “but my tasks, my tasks, there are still my tasks, they surely are needed, right?” “Let’s have a look at your tasks then” the co-worker replied. And he started to summarize. “Your tasks involve budget,inventorying, resourcing, planning and delegating; monitor this so you can answer to the stakeholders if everything is going according to plan. If it’s not going to plan, communicate that. Discuss with the project team the work you delegated to them and set things straight. 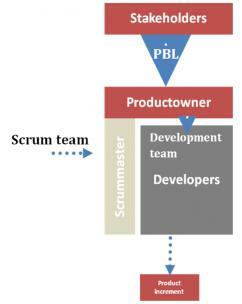 To make the scrum team complete, there is a scrum master. He coaches the team and the organisation in the ways of Scrum. But also keeps the team safe from outside distractions. He facilitates the team so the team can focus. 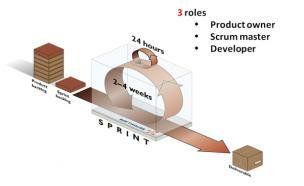 To complete the scrum team, it needs a scrum master. A SM coaches the team and the organisation in the ways of scrum and keeps the team shielded from outside disctractions. 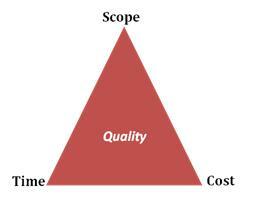 The entire scrum team is responsible for the outcome and output of the product development. This is why they use the triple constraint a bit different. 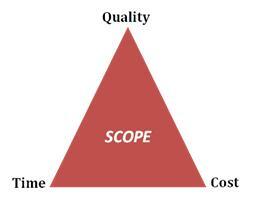 Quality, time and cost are fixed, but scope is the variable factor in scrum. So as you can see, these isn’t much left for a project manager to do. All his responsibilities and tasks are already performed by the scrum team. So what can Charlie still do? Could he become a scrum master? Could he become a product owner? Could he become part of the Human resources organization? Could he help the organisation work with scrum? Should he keep on working on traditional projects? Should he change his way of working? Should he give up and quit his job? Jos Punter is an Agile Test expert. In 2007 he joined Sogeti as a Young Professional tester. In the last years he has gathered experience in testing in Agile and Ad-hoc projects. 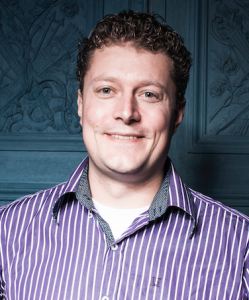 At the moment he works as a test expert who is always looking to automate his tests. He works mainly in agile teams and is a certified Scrummaster. Because he has experience working in agile environments and scrumteams he gives consult to others about these topics.